Every food has its story. A little bit about where Kouzini came from and what kind of 100% Greek extra virgin olive oil we produce! 100% GREEK FRESH FROM MONEMVASIA, LAKONIA. It all started back in 2000, and what an adventure it has been. My father (Peter Kasandrinos) and I (Antonios Kasandrinos) started importing our 100% Greek Ultra - Premium Extra Virgin Olive Oil for personal use with family and friends. Very quickly we started getting asked for more, and more and more! At first, we were online and local only. Then as the years went on, we started expanding to friends and family in other states. As of today, we have sold Kouzini in every state in the United States, as well as many countries around the world! You can find Kouzini online, or at multiple retail locations currently in Toronto, Quebec, Montreal, Vancouver, New, York, New Jersey, Connecticut, Pennsylvania and California, with many more to come! We believe quality food should be available and affordable. 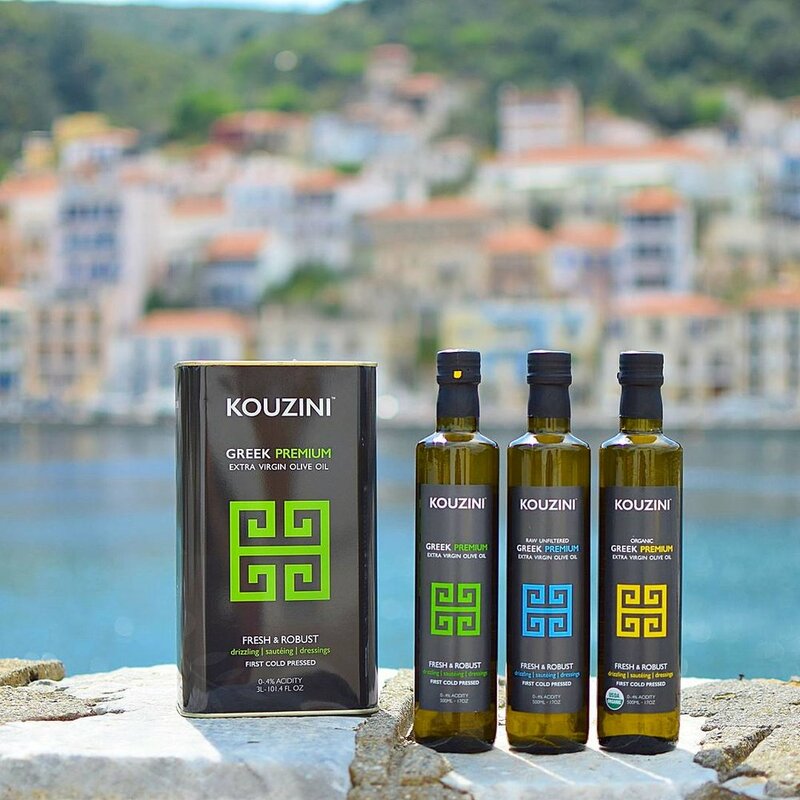 With Kouzini you get 100% Greek extra virgin olive oil, single origin and never mixed, blended or adulterated. Our olive oil is cold pressed within hours of harvest from family owned Greek groves only and bottled in dark green glass for maximum freshness. Greek diet through educating on the health benefits of real extra virgin olive oil . Kouzini's super low acidity of 0-.3% is half the required maximum of .8% for extra virgin olive oil. "Kouzini," or little kitchen, is inspired by the 100% pure, true Greek extra virgin olive oils that are the staple of Greek cooking and culture for 5,000 years.